The 2020 Grand National takes place on Saturday 4th of April, and while the final field of runners has yet to be decided, British Bookmakers have pretty much picked their favourites. As well as a guide to the favourites for the 2020 Grand National, we've also compiled a list of the Grand National betting offers that bookmakers have available for use on the race. Our Grand National guide also includes the best Grand National odds for the horses that online bookmakers see as being most likely to win Grand National on April 4th. After an exciting Cheltenham festival, the next big race on the calendar is the 2020 Grand National, which takes place on Saturday the 4th of April at Aintree. It’s a bit early to finalise the field of runners, but as expected the bookmakers have already picked their favourites and seem to be favouring an Irish runner this year. The Grand National is the most valuable National Hunt Race of the racing calendar with £1 million in prize money and a place in the history books up for grabs. As race day approaches, we've taken a look at some of the front runners for the big race and included some useful information on each to help you pick which horses to bet on. When betting on the Grand National its also a good idea to take into account a horses previous success rates, but also its age, weight, the jockey and who trained the horse. The final field of 40 runners for the 2020 Grand National at Aintree will be announced over the next few days, and once the list is finalised, betting odds are likely to change. Make sure you keep checking our Grand National Guide to see which British Bookmakers offer the best odds and betting promotions in the lead up to the highlight of the racing calendar. The winner of last years Grand National is back, and looking to take the title for a consecutive time. He's had a pretty good season, winning 3 of 4 races since last years Grand National victory, and so it's no surprise that online bookmakers offer ‘Tiger Roll’ as one of the main favourites to win the 2020 Grand National on April 4th. ‘Rathvinden’ is the favourite out of all of Willie Mullins contenders, and is also in bookmakers top 3 runners. Having won the National Hunt Chase at Cheltenham last year and the Novices Chase at the Cheltenham Festival a few weeks ago, it’s easy to see why he's the favourite to deliver a Grand National victory for experienced trainer Willie Mullins. With 3 Grand National Victories under his belt, Trevor Hemmings is hoping for another win with the Sue Smith trained ‘Vintage Clouds’. He has had quite a bit of success this season, winning the Betfair Exchange Handicap Chase at Haydock Park in November, and coming 2nd in the Ultima Handicap Chase at Cheltenham in March. JP McManus is looking to win his second Grand National title, and ‘Anibale Fly’ is his strongest contender. Having placed 4th in last years Grand National, 3rd in last years Cheltenha Gold Cup and 2nd earlier this year, there’s no reason why the Tony Martin trained runner couldn’t take 1st place from race favourite; ‘Tiger Roll’ in the 2020 Grand National. Although ‘Jury Duty’ is fairly young at 8, the Gordon Elliott trained runner is in good form after winning the Grand National Hurdle Stakes in the US earlier in the season. He's also had a couple of good wins recently in Ireland and is the stablemate of Grand National favourite; ‘Tiger Roll’. One to watch if the ground is his preferred good to soft. ‘Pleasant Company’ narrowly lost out to ‘Tiger Roll’ in a photo finish in last years race so we know he’s able to handle the Grand National course and its many fences. It's 14 years since there was a Willie Mullins trained winner but ‘Pleasant Company’ and ‘Rathvinden’ may represent his best chance of getting a long overdue victory. Another of Trevor Hemmings runners, this time trained by Nick Alexander, ‘Lake View Lad’ is consistently a strong performer and has finished in the top 3 in 80% of his races. This Irish 9 year old had a fantastic 3rd place result in the Ultima Handicap Chase at Cheltenham, and while it’s his first run over at Aintree, he’s definitely one to watch. 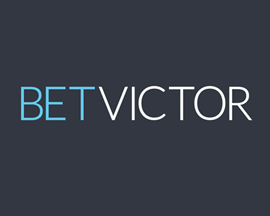 After a fantastic victory at Cheltenham in the BetVictor.com Handicap Chase, ‘Rock The Kasbah’ gives Philip Hobbs a strong chance of winning The Grand National. He looks strong and if conditions suit him on the day of the race, this Irish runner may be worth a punt. ‘Joe Farrell’ is a 10 year old Bay Gelding trained by Miss R Curtis that won the Scottish National last year as well as a class 3 handicap chase at Newbury. Has previously shown good form on a variety of different ground (3 wins on good or better ground, 2 on soft ground), and has proven his stamina over 4 miles. One to look out for if the ground suits on race day. This French runner, trained by Robert Walford, had a wonderful victory in the Becher Chase last December and looks set to have a good season. He didn’t make it through to the Grand National last year, but as he is constantly improving, ‘Walk In The Mill’ is one to keep an eye on. The 2017 Grand National Winner missed the race last year due to injury, but is returning to see if he can take the 2020 title. At the moment you’ll get pretty decent odds on the Lucinda Russell trained 10 year old, but bookmakers odds are likely to shorten closer to race day. Another Willie Mullins entry, ‘Up For Review’, may not have a lot of experience over fences, but has been running well and could easily perform on the day. Bookmakers see him as having a slight outside chance but it will all depend on the conditions on the day of the race. NB: Bookmakers Grand National odds correct at 09:16 06/04/2019 and are subject to change. As well as the Grand National Guide above, we've also listed bookmakers latest betting offers and promotions that you can use on the race taking place on April 4th below. It’s expected that over 35% of all adults will bet on the Grand National, and with over 600m set to watch the race live on television, it’s one of the biggest betting days of the year! A lot of bookmakers betting offers for Grand National 2020 are 'Paying 6 Places' type deals which means they'll pay out up to 6 places on each-way bets instead of the usual 4 places. 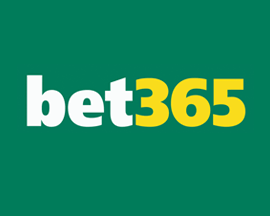 There are also some 'Non Runner No Bet' offers up for grabs on early selections, but you’ll usually need to get your bet in early to take advantage of these promotions. 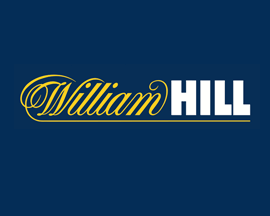 Other deals that are available for use on the Grand National are bookmakers signup offers which are a way for online betting portals to reward you for choosing them over their rivals. 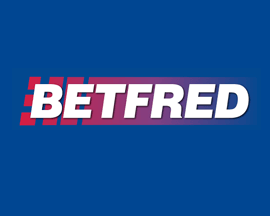 These often include free bets, bonus bets or price boosts on various runners but you'll need to claim them quickly as they usually withdraw them a few days before the race. 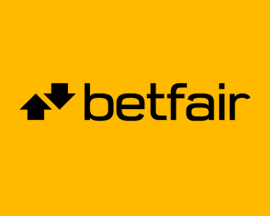 Unfortunately a lot of British Bookmakers pull their signup offer around the time of the Grand National but there are often a few betting sites that still offer one to new account holders. Check that bookmakers are still offering a free bet if you plan to signup on Grand National day. The Grand National takes place on Saturday April 4th, and following the announcement of the final 40 runners, bookmakers will be bracing themselves for a flurry of online betting activity. It’s also expected that over 35% of all adults will bet on the Grand National, and with over 600m set to watch the race live on television, it’s one of the biggest sports betting days of the year! If you're looking to bet on this years Grand National the last thing you probably want to do is head down to your nearest betting shop on race day as the queues will be out the door! 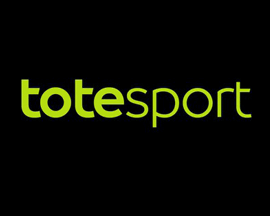 It's definitely much easier to bet online via a bookmakers website or App than filling out a betting slip manually in any of the crowded bookmakers betting shops in town! As you can see from this Grand National Guide, placing a bet online is as simple as clicking on a box next to the horse you think will win the race and then entering a stake in another box. 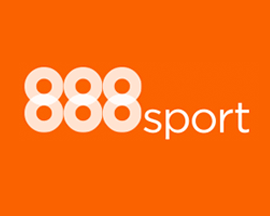 Not only is betting online much quicker and easier than at a betting shop, you'll also be able to take advantage of the betting offers and promotions shown higher up this page. Looking at the latest Grand National odds, it's often more likely that you'll get a better price on a horse betting online compared to a bookmakers actual betting shop. Plus, if your Grand National horse comes in the wining's are paid directly into your bank account, saving you the trouble of another trip back into town to collect your cash! The Grand National is the UK's premier horse race and one of the worlds most exciting sports betting occasions with millions bet on the World famous race each year. But before you join an online bookmakers and place your Grand National bet, make sure you check out some the Grand National tips below as they might just help you pick a winner. So yeah, the countdown is on for the 2020 Grand National, and after a fantastic Cheltenham festival, the horse racing season continues with the world’s greatest steeplechase. But, 40 horses usually line-up to race the four and a half mile track and tackle the 30 fences of Aintree so how do you pick a horse that has a decent chance of winning? Especially as only half the horses and jockeys can expect to make it past the finishing post? The weight a horse carries is usually critical to Grand National success. Just remember that Hedgehunter was the first winner since Corbiere to carry over 11st to victory. A pound here or there over 11st should not be a major worry but most savvy punters tend to avoid betting horses to win that are carrying over 11st 3lbs on race day. The simple fact is only one other horse in history has managed to win with that kind of weight and that horse was Red Rum - a legend and complete anomaly! Stamina is the second major factor you need to consider when picking a horse. The Grand National is a gruelling race for any horse but only those with experience winning at over 3 miles can be expected to be in the running at the end of this race. So don't throw money away on two and half milers when betting on the Grand National. The age of the horse is also quite important as experience counts for much in the Grand National. Horses aged ten years and older are preferred by most successful punters. Ten out of the last 16 winners were aged ten or above. Nine year olds have had a few win too but don't back any seven year olds as it's been 69 years since one last won! Much of the Grand Nationals appeal lies in the difficultly of the race itself, with such a gruelling course to contend with at Aintree, the chances of a favourite winning is pretty slim. In fact, this Grand National Guide looked at results throughout history, and bookmakers have been very lucky as only 11 of their favourites have actually gone on to win the race. When looking at the statistics from previous races, horses starting with Grand National odds of 16/1 or under have got the best record with 27 wins since 1968. There have been a few horses that have won the race with high betting odds in the past. Last Suspect at 50/1, Royal Athlete and Ben Nevis both at 40/1, Red Marauder at 33/1, Maori Venture and Little Polveir both at 28/1 and Rubstic at 25/1. These long shots winners are what the Grand National is all about, most people are happy to stick a couple of quid 'each way' on a 25/1 shot and sit back and enjoy the race. Many serious punters don't actually put any money on horses running in the Grand National as it's usually too difficult to pick a winner as there's a huge element of chance. 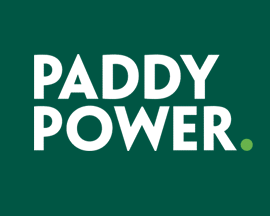 This luck factor only adds to the excitement for the millions that do place Grand National bets at online bookmakers as it's the biggest horse race of the year and broadcast on mainstream TV. There is much debate among historians regarding the first official Grand National race held and most who have trawled the newspaper libraries and archives of the UK now prefer the idea that the first was in 1836 and was won by The Duke. This same horse triumphed again in 1837 while Sir William was the winner in 1838. These races have often been disregarded because of the belief that the 1837 & 1838 runnings took place at Maghull and not at Aintree Race Course. However, in the last twenty years several race historians have unearthed indisputable evidence that these three races were all run over the same course at Aintree and were regarded as having been Grand Nationals up until the mid 1860's. To date though, calls for the Nationals of 1836-38 to be restored to the record books have been ignored and they remain a hidden part of the history of the Grand National. For three years during World War I, while the Aintree Race Course was closed, an alternative race was run at Gatwick Racecourse on the site of the present Gatwick Airport. The first of these races, in 1916, was called the Racecourse Association Steeplechase and in the following two years the race was known as the War National Steeplechase. The races at Gatwick are not always recognised as "Grand Nationals" however, and their results are often omitted from winners' lists. In 1923, Sergeant Murphy became the first American-bred horse to win the race. In 1938 the American bred Battleship, son of the famous Man O'War, became the first horse to have won both the Grand National and the American Grand National. Battleship's jockey was Bruce Hobbs and at 17 years old was and still is the youngest ever winning jockey. By far the most successful horse in Grand National history was Red Rum. The only horse to win three times in 1973, 1974, and in 1977. He also came in second in the two intervening years, 1975 and 1976. A fictional account of a young girl training the winner of the Grand National by Enid Bagnold was made into a film, National Velvet, starring Elizabeth Taylor as the heroine, Velvet Brown. The events surrounding the 1981 National and the winning jockey, Bob Champion, were also dramatised in a film, this time it was called Champions from director John Irvin. The 1967 race was won by rank outsider Foinavon, ridden by Johnny Buckingham, after a melee at the 23rd fence when two loose horses pulled up and caused the rest to fall, stop, or refuse. Foinavon was running so far behind that Buckingham managed to avoid the carnage and scrape round ahead of 17 remounted horses, coming home at odds of 100/1. In 1993, the race was declared void after a series of incidents at the start meant the starting tape failed to rise correctly, causing several horses and jockeys to be caught up in it. A false start was declared, but lack of communication between course officials meant that 30 out of the 39 jockeys did not realise this and started to race. Course officials tried to stop the horses by waving red flags next to The Chair at the end of the first circuit. However, many jockeys thought that these people were protesters and so continued to race. Peter Scudamore only stopped because he saw his usual trainer Martin Pipe waving frantically at him. Seven horses ran the course in its entirety, forcing a void result. The 'winner' of those which ran was Esha Ness, ridden by John White (trainer Jenny Pitman). In 1997, the Saturday meeting was abandoned after two coded bomb threats were received, reportedly from the Provisional Irish Republican Army. 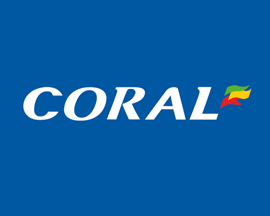 60,000 spectators, jockeys, race personnel and local residents were evacuated and the course was secured by police with online bookmakers forced to refund all placed bets. The race was eventually run on the Monday, with the meeting organisers offering free admission. Some 20,000 people were left stranded, with cars and coaches locked in. With limited accommodation space in the city and surrounding areas, those local residents not affected by the incident opened their doors and took in many of those stranded. Aintree is the home of the Grand National. Arguably the greatest horse races in the world, no other race comes close to matching the excitement at Aintree on Grand National day or surpass the amount of bets that online bookmakers take on it. The story of Aintree race course this Grand National Guide has found is also the story of the race, and its inconceivable to imagine it being held at any other race course in England. But, this looked a distinct possibility in the early post war years. In 1965 the Aintree course looked likely to be sold to a property developer, every year the press warned this could be "The Last Grand National". In 1973 the course was eventually sold to property developer Bill Davies who gave a commitment to keep the race going but his heart never quite seemed in it. Attendance at the 1975 Grand National was the lowest in living memory (admission prices had been tripled by Davies) and the Grand National had reached its lowest point and it looked like the end had come for the UK's most bet on horse race. In 1975 a campaign was started by Ladbrokes to revive the ailing Grand National race. 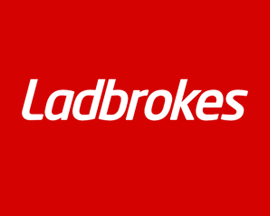 Ladbrokes took control of managing the Grand National. Ladbrokes had a deep love for the National and were determined to keep it going. After eight years of management by Ladbrokes the future of the Grand National and Aintree seemed secure. Property developer Davies was unimpressed by the swift chances in fortune and still seemed determined to sell the Aintree course. Finally the general public realised that this may be the last chance for the Grand National to be saved and huge campaign was launched to rescue the race once and for all. Generous donations from the public allowed the Jockey Club to purchase Aintree from Davies. In 1984 Distillers Seagram stepped in to provide the solid foundation on which Aintree's revival has been built. The last Seagram sponsored National was in 1991 when the race was won by a horse which chairman Straker twice had the opportunity to buy! A subsidiary of the Seagram company, Martell Cognac, took over sponsorship in 1992. During this time the Grand National experienced a big boom. In 2004 around 150,000 people were at Aintree to witness the last Martell backed race. Other companies that have sponsored the Grand National include John Smiths and Randox. Aintree race course now enjoys its most successful period ever. Future plans at this point in history included a new grandstand, as well as a redeveloped winner's enclosure.